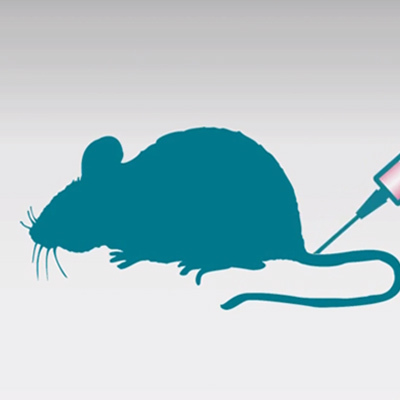 The Insulin Mouse Serum Assay kit allows for a reliable time-saving quantification of insulin in serum and plasma samples from mice. A perfect tool in diabetes research. For years, researchers have sought the ideal insulin assay that would combine absolute specificity with sensitivity, accuracy, low sample consumption, and ease-of-use. The search has come to an end! This serum insulin assay offers superior specificity and sensitivity for a reliable quantification of insulin in serum and plasma samples. Built on a truly homogeneous protocol, the assay does not require any washing or complex extraction steps, leading to significant time savings over ELISA methods. 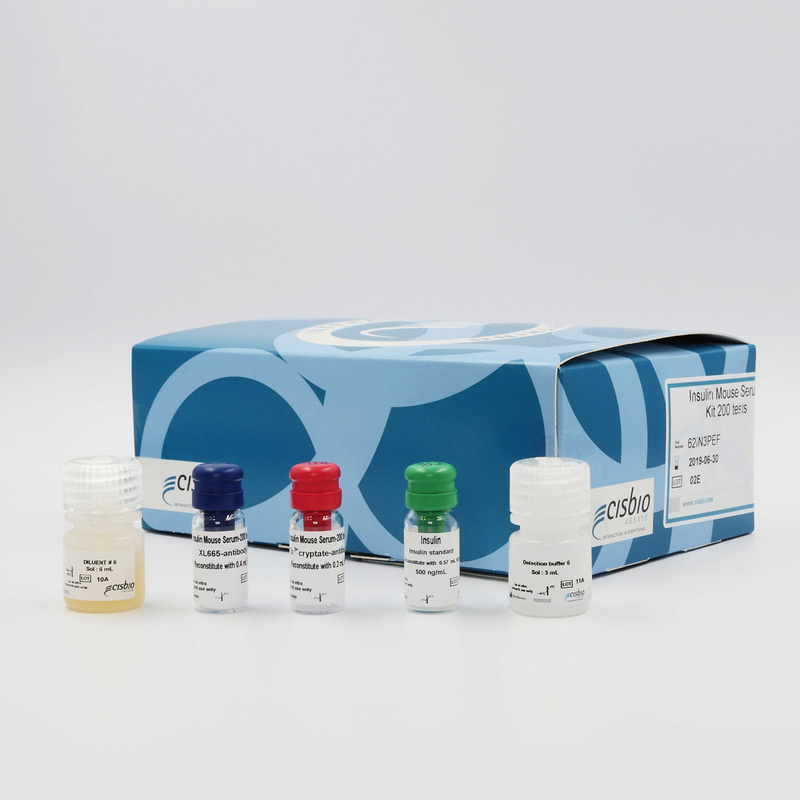 10 µL of cell supernatants are supplemented with 10 µL of acceptor-labelled antibodies and 5 µL of donor-labelled antibodies (or 15 µL of pre-mixed reagents for a single dispensing step). The mix is then incubated from 4h to overnight at RT and results are read on an HTRF compatible reader. The detection limit* is calculated as two standard deviations above the Calibrator 0. The HTRF® Insulin assay was calibrated against the NIBSC international standard 66/304. The following equivalence was found: 1 ng Insulin HTRF® represent 1 ng Insulin NIBSC 66/304 (i.e. : 2.3x10-05 IU). Samples were incubated overnight at room temperature. The assay ranges from 0,24 to 8 ng/mL and the detection limit measured was 0,064 ng/mL. The HTRF Mouse serum insulin assay showed an excellent correlation to the leading absorbance and chemiluminescent ELISA, both on sera with low titers and high titers of insulin. With a slope of 1.1 and 0.9 respectively, the regression line was close to the ideal line, demonstrating the assay reliability. C57BL/6J mice were randomized into two groups of 7 animals. One group was fasted overnight while the second one was normally fed. The mice were sacrificed and the blood was collected for serum preparation. The insulin concentration was determined in each sample using the HTRF Mouse Serum Insulin kit reagents. A group of five db/db diabetic male mice and a group of five db/+ control male mice were fasted overnight. The mice were sacrificed and the blood was collected through cardiac puncture for K3 EDTA-plasma preparation. The insulin concentration of each sample was determined using the HTRF Mouse Serum Insulin kit reagents. A group of eight ob/ob obese mice and a group of eight ob/+ control mice were sacrificed and the blood was collected through cardiac puncture for serum preparation. The insulin concentration of each sample was determined using the HTRF Mouse Serum Insulin kit reagents.